We are mourning the loss of 2 of our favorite cichlids. 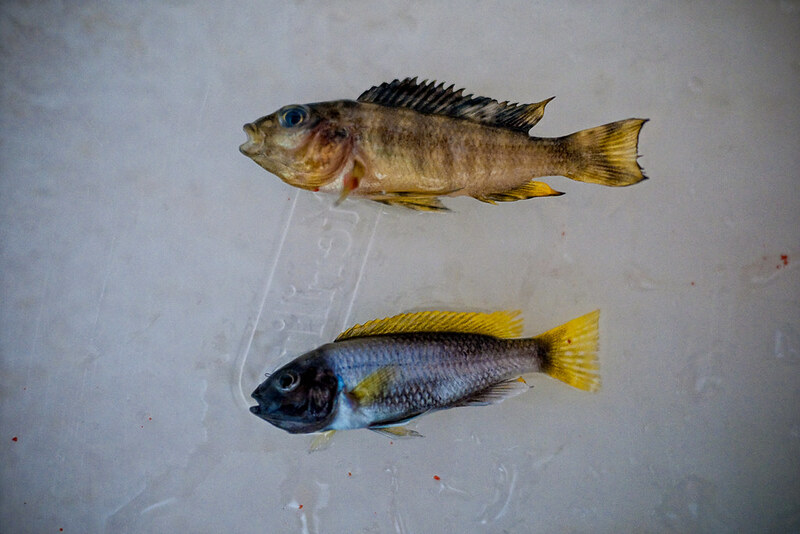 The top is a Bumblebee cichlid and the bottom is a Yellow Tail Acei. They were doing fine the day before but when we came home last night we found both of them at the bottom of the tank, lifeless. I know they're just fishes they're not the same as losing a dog but still, with the short time that they were with us, they gave us hours of enjoyment. We'll miss you guys. ... Interment will be at our lavatory, everybody is welcome to join us in our grief.